Things to do and see in Anchorage: climb a mountain! Flattop mountain is the most climbed mountain in Alaska, and is right here in Anchorage. 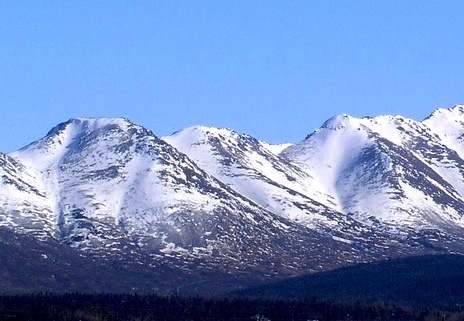 Flattop mountain is in the Chugach National forest. Find the trail head by traveling east on O’Malley, proceeding about four miles beyond the Alaska Zoo to the upper O’Malley overlook. The recreational hiking season runs from late May through September but the vistas from the parking lot are accessible most of the year. 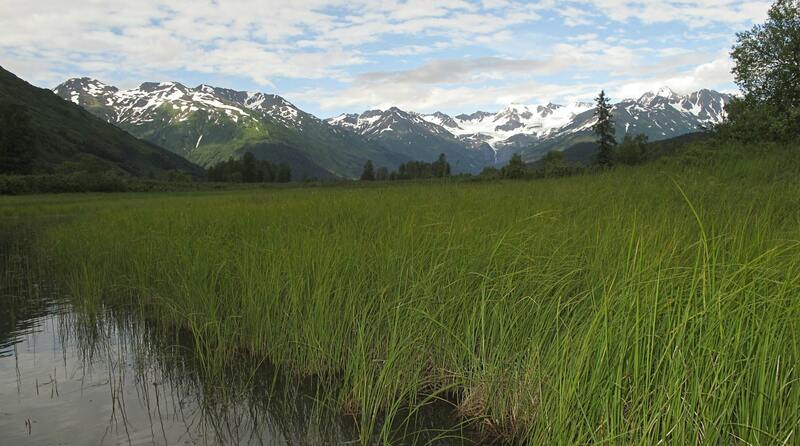 While Mt McKinley and the volcano, Mt Redoubt, join the sunset views of Anchorage and Cook Inlet as most photographed, be sure to enjoy the Alpine forest and other high valley vegetation. Moose, Alaska Marmots, and from time to time Black and Grizzly can be seen on this adventure. One or more friends (you will probably have many more when you descend). A bucket or a napkin if you want to pick wild blueberries or cranberries on the way. A sketch pad or a camera to memorialize a fantastic panorama of Cook Inlet, the Kenai Peninsula, Anchorage, The Alaska Range, volcanos, Mount McKinley. A smile and a light heart (these are also available for free at many turns along the trail). This entry was posted in Attractions, Fall, Summer, Things to Do and tagged Attractions, Fall, Summer, Things to Do by admin. Bookmark the permalink.